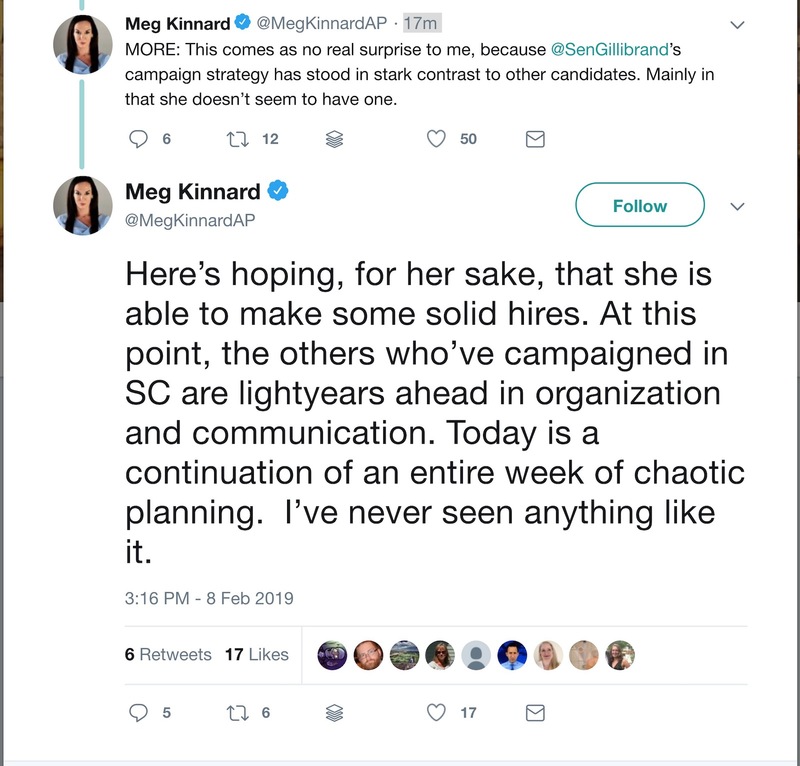 Associated Press reporter Meg Kinnard completely exposed how incompetent the campaign for Senator Kirsten Gillibrand has been, and it’s pretty hilarious. Kinnard has since deleted the tweets and not explained why, but lucky for YOU, we have expert screengrabbers. Hi Meg - Her flight was delayed. How is that the campaign's fault? I'm sorry you felt things were chaotic this week, but the reality is that we just didn't have your email address. Pretty simple! This response only further proves my point. YOU emailed me yesterday morning. And then when I asked for details, I got no response. Same as when I emailed you and Alexandria on Wednesday. Crickets. Pretty simple? Apparently not. We hope you can join us for a new public event later today, which we will email you about shortly. The campaign sent an email to the press at 3:01 informing us that the 3:30 event was canceled due to flight delay. A CNN reporter and I were the only ones there, however, when the announcement was made. So I turned the lights off in the room, and we left.